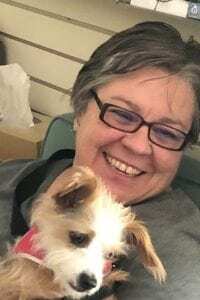 Jeanne joined KBCS as the Development Coordinator in October of 2018. She has over 25 years of fund raising experience in many different sectors including social services, arts, health care and higher education. Her most recent position was with the North Seattle College Education Fund. In her off hours she works on causes related to racial justice and chases after her 10 lb. mutt terrier Georgia “Georgie” O’Keeffe.